Healthy trees are much more capable of fighting off disease and infection so maintaining healthy trees is the best prevention. Mulching, weeding and watering young trees can prevent them becoming stressed, which is when they are most vulnerable to disease. Creating healthy conditions within mature trees can be achieved by thinning the branches to allow airflow and light around the canopy. Follow the golden rule – one should always be able to throw one’s hat through the middle of the tree. If you are planting a new orchard, or gapping up an existing one, remember that trees should be roughly 10m apart. This allows each tree enough space to not compete with the others, but also increases airflow around trees reducing overall disease vulnerability as well as reducing the opportunity for disease to spread amongst the trees. Prune your trees in good weather. For winter pruning this means avoiding wet and frosty weather. Stone fruit should only be pruned in the summer to avoid silverleaf fungus, the spores of which are prevalent in the winter, but again it is good to avoid pruning during times of rain. Water can carry disease from tree to tree, so it is preferable not to create any wounds in healthy wood when it is wet. Affects: Apples and other Malus trees. Whilst still perfectly edible if peeled, the fruit infected with scab develops scabby, corky patches and often cracks which makes the fruit less appetising in appearance and useless for storage. The disease has a less pronounced effect on the rest of the tree, but can be seen as dark round dusty blotches on the leaves. Leaves with heavy infection may shrivel and fall prematurely. Scab is a fungal disease of apple and pear trees that affects the whole tree but are most easily seen on the leaves and fruits. Scab can overwinter in several ways, but the most important is overwintering on fruit tree leaves on the orchard floor. In cold winters this is likely to be the only place that scab overwinters. Come spring, spores from overwintered leaves on the orchard floor become wet and then are spread by the wind. A wet windy spring thus increases the incidence of scab. Water is essential for the germination of these spores, which will then continue to develop as long as they are in a relatively humid environment. 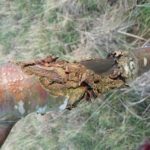 The scab causing fungi need wet conditions to establish, so increasing air circulation in your orchard will help dry out your trees more rapidly after rain. This can include making sure there is wide enough spacing between the trees, something traditional orchards are generally already good at, and pruning to achieve tree shapes which promote air circulation within each tree. Where incidences of scab are particularly heavy it is a good idea, if feasible, to remove or macerate the fallen leaves encouraging them to rot, as these leaves harbour the overwintering fungus that causes reinfection the following year. Maceration of leaves can decrease scab by up to 90%*. Some apple varieties are more susceptible to scab than others, so if your orchard is prone to scab then it is advisable to choose more resistant varieties when planting any new trees. Fruit trees planted in the soil another fruit tree recently occupied can lead to severely inhibited growth, which can make the tree more susceptible to other diseases and deficiencies. Replant Disease can occur when a young tree is planted in soil formerly occupied by an older tree, particularly one of the same species, whose roots have been growing there for some years. This can leave the soil impoverished and possibly infected. More vigorous rootstocks are less susceptible to this. It particularly affects apples. It is important to plant young trees in fresh ground or at least remove impoverished soil and replace it with top soil from another area which has not grown similar fruit trees. Planting a species unrelated to the previously planted tree can help. The longer it has been since the previous tree occupied the planting, the less of an issue this will be. Cankers are round areas of dead and sunken bark. They are often surrounded by corky, brown, flaky bark that can be cracked. Branches sometimes swell up around the canker as the bark is trying to heal over. If left, the infection will cause the loss of bark and if it spreads around the branch or trunk it will girdle it, killing any wood above it. This is not the same as bacterial canker. This is caused by a fungus Nectria galligena that is spread by the wind and enters the tree through natural openings like scars left from leaf fall and pruning. In summer water dispersed spores from the edges of the lesions can spread the infection. In winter and spring airborne spores spread from small red fungal structures. Canker mainly affects apple and pear trees, but can affect most fruit trees. It is often more common to get higher levels of canker infection in orchards that are on heavy and poorly draining soil. It is common to have low level canker infection in a traditional orchard and impossible to remove all traces of it, however keeping the infection down will reduce the chances of it spreading. Healthy trees are often able to fight canker themselves, healing over the wounds caused by the infection. However if your trees are old, or infection levels are too high it is necessary to remove it. Prune canker out of your trees, cutting back to uninfected wood. Cankerous prunings should be removed from the site and burned, as the canker fungus can spore and spread even from pruned material. If a large branch or the trunk has canker this can be pared out with a sharp knife and chisel. Although no variety is completely resistant to canker, there are varieties that are more resistant to infection. If your orchard has heavy canker levels it might be worth considering more resistant varieties when gapping up. To reduce the chances of getting canker don’t prune your trees when the weather is wet and keep your trees pruned so that air can readily circulate through the centre. Bitter pit is not a disease but a calcium deficiency, generally caused through lack of water which transports the calcium around the tree and to your fruit when they are developing. Bitter pit causes small sunken pits on the surface of the fruit with discoloured brown flesh below them. They can appear when the fruit is still on the tree or when it is in storage and can give the fruit an unpleasant bitter taste. A lack of water leads to poor calcium uptake and distribution around the tree, so it can be a problem in years when there is drought. Excessive fertiliser use can make the problem worse as the volume of vegetative growth after fertiliser use reduces the amount of calcium that reaches your fruit when they are growing. Mulching under trees that regularly suffer bitter pit can help retain soil moisture in times of drought, and pruning out excessive water-shoot growth means the available calcium is distributed less widely, and also reduces water loss. Some varieties are more susceptible to bitter pit than others, so if your orchard regularly suffers bitter pit you can gap up with more resistant varieties. If this is a persistent problem and you think the soil is impoverished, you can add calcium in the form of agricultural lime or foliar sprays of calcium nitrate. Affects: stone fruit trees, common in plums cherries and other Prunus species. Bacterial canker will weaken your trees and can lead to dieback if left untreated. Trees growing on poorly draining soil are more susceptible to bacterial canker. This is not the same as the fungal canker that mainly affects apple and pear trees. The bacteria enters a tree through the leaf stomata in summer, the leaf scars of falling leaves in autumn, or through any natural bark openings or wounds. The bacteria then survive the winter in small cankers that they create. The earliest signs of infection are on the leaves in summer where you will see brown spots surrounded by yellow discoloration. As these spots dry they can turn to holes in the leaves, which can also fall prematurely. Cankers on twigs branches and sometimes even the trunk are the other main symptom. Within the canker areas the bark shrivels, becomes darker and looks wet. These cankers can girdle the branches, causing dieback further up the branch and can kill the entire tree if they girdle the main stem. Pruning out the canker is the best remedy for bacterial canker. Prune back to healthy wood. Healthy trees can recover from bacterial canker and become immune. Affects: apples, plums and pears and is caused by a fungus. The fungus causes the fruit to develop soft brown areas of decay which quickly spreads to the whole fruit. Concentric rings of yellow-white mould will then develop on the infected fruit, which subsequently shrivels and persists on the tree through the winter. Remove and destroy affected fruit, including the shrivelled infected fruit that remain on the tree. Affects: mainly ornamental flowering cherries but can also affect plum pear and apple blossom. The fungus that causes blossom wilt infects the flowers and shoots in spring and overwinters in the bark of affected twigs of the previous year’s growth. Flowers and shoots will wither and hang, smelling distinctly sweet. The infected area may be covered in tiny buff coloured pustules. The symptoms of this fungal disease can resemble frost damage or fireblight, but fireblight does not affect stone fruit. Remove the infected material by pruning to healthy wood. Then inspect your trees once every three or four weeks after the petals have fallen to see if you can see further infection. Any infected wood should be cut out and burned. Affects: apple, quinces and related tree species, particularly pears. It is widespread in south and central England, with occasional occurrences in northern counties and can be spread and harboured in hawthorn. Fireblight is a bacterial disease, Erwinia amylovora, spread from plant to plant by rain splashes, birds, bees, direct contact with infected plants and indirect contact through pollen and nectar of infected plants. Infection enters the tree in spring through lenticils, blossom, or wounds in young shoots. Tissue that is injured through insect damage or hail or otherwise is highly susceptible to infection. When infected, the bacteria spreads through the tree through the vascular system, which can kill the tree if it spreads around the main stem. The bacteria emerges from dormancy in spring when it oozes from cankers. Late spring or early summer is when the risk of infection is highest, with wet weather increasing this risk further. The cankers become dormant again in autumn, where it provides a source of infection again the following spring. As the name suggests, one of the symptoms of fireblight is the burnt appearance of the infected blossoms and twigs with whole blossom clusters turning brown and wilting after infection. 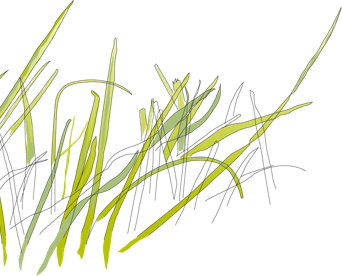 Leaves appear as though they have been scorched from underneath, twigs blacken, shrivel and often curl at the ends. Fruits affected shrivel and turn brown or black, remaining attached to the tree. In advanced cases you will see oozing, discoloured sunken cankers, surrounded by irregular cracks in the bark. The ooze is a translucent amber or reddish colour and contains large quantities of the bacteria which will cause secondary infections in the tree or distribute to other individuals. Tissue under the bark may be discoloured to a reddish-brown. Removing affected wood is the best way to control fireblight, there is no effective chemical control available. The spread of fireblight can be stopped at any stage detected by pruning out infected wood. Make sure to cut the branches back to uninfected wood, if your branches are under 25mm in diameter cut at least 30cm below the last signs of infection, which shows red staining, and 60cm below for any branches bigger than this. With correct pruning a tree should recover from infection, as fireblight rarely kills a tree completely except where infection is heavy and persistent. Prune out infected material in dry weather and disinfect your tools between cuts. All infected material pruned off should be burned as it can act as a source of further infection. Then it is important to keep a close eye on your orchard to spot further signs of disease. Late flowering fruit varieties are more susceptible to fireblight as there is more of the bacteria around at the point at which they are flowering. Some rootstocks have a higher degree of resistance, such as Pyrus communis which is conferred to the whole tree. As trees grow older they become less susceptible to fireblight, with trees over 20 years old rarely getting the infection. However it is possible for trees of any age to become infected. In orchards that have reoccurring fireblight problems, trim any hawthorn in the hedges annually. This reduces the number of hawthorn flowers which can harbour and spread infection. Most species of honey fungus are relatively benign, existing mainly on dead and decaying wood and playing a valuable role in the recycling of nutrients in dead wood. Some honey fungus species can act as potentially fatal pathogens. Armillaria mellea will attack orchard trees, with weak and stressed trees being particularly vulnerable. Honey fungus will cause discolouration and defoliation of leafy branches and a failure of leaves to appear in spring. Another obvious sign of honey fungus is the thin, paper like sheets of white/cream fungal growth smelling strongly of mushroom that you will find between the bark and the wood on the trunk. Honey fungus spreads underground, from both the living and dead roots of infected trees, either through direct contact with other tree roots, or by sending out “bootlaces” that spread at a rate of about 1m per year, invading new roots. The reddish brown to black “bootlaces” that grow out and infect other plants vary in size but form a fine mesh below the bark on the roots, although these can be hard to find. These roots will become soft and show signs of decay and die. When the honey fungus has girdled the tree, or caused too many roots to die off the tree will die. Honey fungus can also infect through spores, usually growing on freshly damaged plant material. The fruiting bodies of A. mellea have long pale yellow stems and a whitish collar-like rim on the stem below the cap. 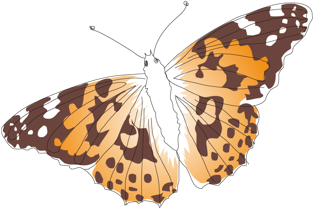 The cap is smooth and honey coloured, with a diameter of 3-15cm and with pale scales. They appear in autumn, in fan shaped clusters at the base or roots of the infected tree, dying back after the first frost. There is no chemical control available for honey fungus, and the most effective way of controlling it is by completely digging out the stumps and roots of any infected tree before it has a chance to infect any of the others. All infected materials should be removed from the site and destroyed. With honey fungus, as with many other tree diseases, prevention is often the best method of control. Healthy, strong growing trees are more resistant to infection, so it is important that young trees at risk of the fungus are mulched regularly until they are established. Strong mycorrhizal associations will help a tree fight off honey fungus, so avoid fertilising your orchard which will damage these associations. This disease is rare, and is often colloquially called ‘Bent banana disease’ or ‘bladder plums’. Fruits display the most obvious signs of infection, with small blister-like white spots three to four weeks after blossom, that enlarge rapidly as the fruit develops. The flesh of the young fruit becomes spongy and gets a white spore layer over the surface as the fruit starts to shrivel. Infected fruit grows much more quickly than healthy fruit, enlarging rapidly to ten or more times its normal size, becoming elongated, twisted, one sided and curved a bit like a small banana. A cavity will develop in the fruit in place of the stone. Infected fruit will have a spongy texture and then a white covering over the skin as the fungus spreads. The fruit will turn grey, then crease and hollow like a pocket until a dark dry shell is all that’s left. Caused by a fungus, Taphrina pruni, this disease begins in spring and favours cool damp conditions, when spores are released from infected fruits and are spread in the air or water splash. The leaves, shoots and fruits are all susceptible to infection but the symptoms are most common on the fruit. The fungus will overwinter on the bark, in twigs and bud scales. The following spring it will infect young fruit and occasionally the new shoots and leaves. Remove any infected fruit, as well as any twigs that appear infected. As this fungus travels through airborne spores this might not stop re-infection of your fruit if there are infected trees nearby. Pocket plum is unlikely to affect your whole crop, but will reduce your overall yield. Plum leaves get pale green or yellow spots or rings, with some cultivars getting yellowing line patterns, bands and blotches. Symptoms on the plum fruits depend on the original colour of the fruit. Dark skinned fruit show bluish, necrotic rings which can be sunken. Pale skinned fruit shows uneven ripening, blotching and rings. Sometimes fruit can be severely deformed and bumpy, with a reduced sugar content that affects the taste of the fruit. Caused by the plum pox virus (PPV), it is either transmitted by aphids that carry it between infected trees, or through infected material being transferred to new locations. The virus is slow to spread in an infected tree and can only affect one or two branches to begin with, before it spreads to the rest of the tree. The plum pox poses no risk to consumers, but fruit deformities and extra acidity can ruin the marketability of the fruit. There is no cure or treatment for plum pox. The only way to manage it is by grubbing out and destroying infected trees. You can reduce the chances of infection by ensuring all your stone fruit material comes from certified sources and by controlling the numbers of aphids in your orchard. Fungal spores create a white powdery layer on the surface of new shoots and leaves. The result can be the stunted growth of shoots and reduced flowers and spurs on older trees. This is also common on maiden trees through their first few years. They can grow through it but are very stunted. Powdery mildew is usually caused by drought stress. Any twigs with signs of mildew should be removed in spring. Cultivate open centered trees that encourage airflow which will dry out the tree and reduce the chances of the fungal spores germinating. All other control regards reducing the water stress on the tree. This can include reducing the weeds and grass around the base of the tree as these compete for water, and mulching young fruit trees to help maintain the ground moisture. Affects: Mainly Plums, but sometimes also apples, apricots, almonds and cherries. Most species of Rosaceae, but particularly Prunus. As the name suggests, leaves will develop a silvery sheen. This is caused by air within the leaves as the fungal toxins travel to the leaves and cause the tissues to separate. The fungus is not actually in the leaves themselves. Both shoots and foliage will discolour and wither, dying back along the branches. A cross section of an infected branch will show a purplish stain at the centre. Dead, previously infected wood will sometimes grow small flat purple or brown bracket fungi, with a wavy margin and white-ish woolly upper surface. Other symptoms can include a reduced crop and reduced root growth. Silverleaf is caused by a fungus, Chondrostereum purpureum, that is active in the sapwood (not the dead heartwood) of trees. Fruiting fungal brackets grow on dead wood over the autumn, and spread infection by releasing airborne spores. The spores infect new trees through fresh wounds from pruning, damage or rubbing and attack the living tissues. The fungal threads grow through the living wood, killing the tissue by releasing toxins into the sap. Wet weather increases the spread of infection, as more spores are released in wet, foggy or humid weather, peaking at 18°C (65°F). Spore numbers drop on warm sunny days above 20°C (68°F), with strong winds and low humidity. Trees are most susceptible to infection in the winter for several reasons. Firstly the higher rainfall and humidity enables the fruiting bodies to stay hydrated longer, but also the fruit trees are dormant which makes them more susceptible to infection, with the spores more likely to germinate. By late spring/summer the fruiting bodies produce fewer spores and the chances of infection are reduced. Silvering of the leaves can also occur due to drought, unseasonable extremes in temperature or other forms of tree stress, so to differentiate between silverleaf and tree stress, cut an affected branch and look for the darkish stain in the wood. There is no chemical control for silverleaf. Healthy trees with only mild infections can recover from it, but all diseased wood should be cut away and destroyed, cutting away to 15cm after you reach a clean, unstained cross section. If the infection has reached the trunk it is necessary to take the whole tree out. At this point either dig out or cover the roots and stump with soil to prevent the formation of fruiting bodies that could continue to spread the infection in your orchard. As infection can only spread through the spores, the leaves pose no danger of infection, neither does contamination by pruning tools, although it is good practice to clean pruning tools between cuts when working on infected trees. As silverleaf targets live wood, any existing fallen or standing deadwood can be safely left as it cannot become infected when already dead. It is prudent to remove and destroy any wood that has been killed by the fungus as this infected wood could later grow fruiting bodies that can spread infection. However as the spores are windborne they can travel large distances so this doesn’t eliminate infection coming in from another site. Maintaining an open structure through regular maintenance pruning will help minimise the chances of infection as the tree it dries out fast enough to reduce the chances of spore germination. However pruning wounds are an access point for silverleaf infection so it is crucial to prune plum trees in the summer between May and September, when the spore rates are at their lowest and the weather is too dry for infection. As trees are actively growing in the summer they quickly heal reducing vulnerability. Prune on warm sunny days, more than 24 hours after any rainfall. Some plum varieties are more susceptible to silverleaf than others. Victoria plums are particularly susceptible, but River’s Early prolific has a good level of resistance. Russeting is not a symptom of disease, nor does it do any damage to the quality of the fruit. In some varieties that are not thought of as ‘russets’ it can reduce the saleability, but it is often thought to improve the flavour of fruit. There are many varieties that characteristically russet, such as the egremont russet, a fantastically flavoured eating apple. Russeting appears as a brown, corky net-like effect on the skin of apples and pears. It may be on only one part of the fruit, or it may cover the whole skin surface. In severe cases and when russeting occurs early in the season, the skin can become tight and crack as the fruit develops. This is the only case in which russeting does any damage to the quality of the fruit. Russeting is a result of damage to the skin cells of the fruit in early development. This damage can be from extreme weather conditions or use of some types of chemicals on your orchard. 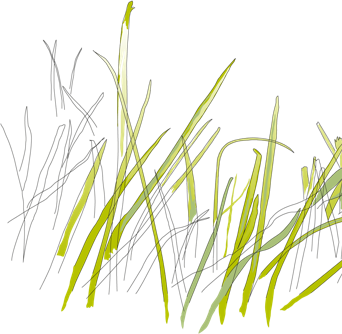 Some varieties are more prone to russeting than others, with some varieties counting it as a characteristic and desired feature. Golden apples are generally more prone to russeting than red apples.